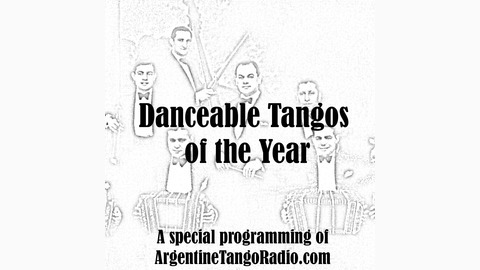 "Danceable Tangos of the Year" is a special programming of Argentine Tango Radio, Budapest: www.argentinetangoradio.com . 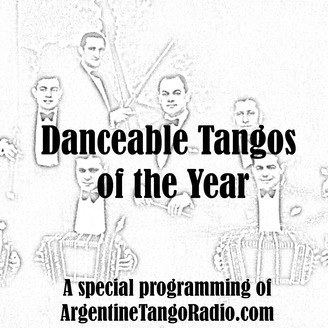 This 52 episode, weekly series aims to showcase examples of danceable Argentine tangos, valses and milongas, progressing from 1927 up until last year. Episode 01 covers the years 1927 and 1928. In order to honor the immense effect he had on the development of tango, the series starts with "Gallo ciego", one of the few danceable tangos from the Orquesta of Julio De Caro. We continue with displaying Orquesta Típica Victor instrumentals, with selected tangos and valses from the orchestras of Bianco-Bachicha, Adolfo Carabelli, Francisco Canaro, Osvaldo Fresedo, Francisco Lomuto, Jose M. Lucchesi, Juan Felix Maglio ("Pacho"), Luis Petrucelli, and Salvador Pizarro.